I’ve used the no-ip service for years, and untill recently the Exchange box I ran gave me no problems, well it still does not, but now my wife has her Email on it as well, and because of reverse DNS Lookups, she cannot Email her friends at Hotmail etc. Instructions at the site (at the time of writing) are for Exchange 2003, which as you aware is a different beast altogether, so to make it work…. 1. 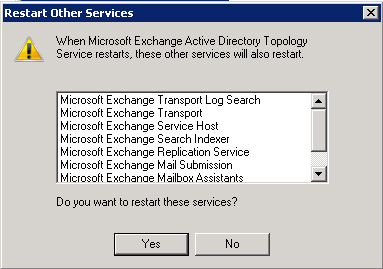 On the Exchange Server, Click Start > All Programs > Microsoft Exchange Server 2007 > Exchange Management Console. 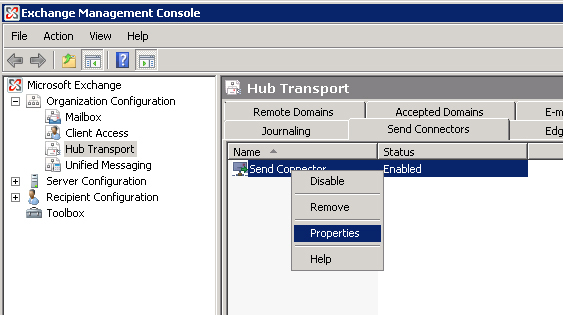 Expand Organisational Configuration > Hub Transport > Send Connector. Right click your send connector and select properties. 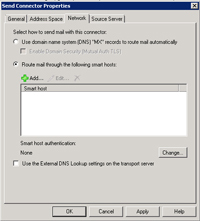 Note: If you do not have a send connector at all, create a new one, set the “Address Space” to * (thats a single asterisk) > Tick “Include all subdomains” > Add your Exchange Server to the source server list. 2. 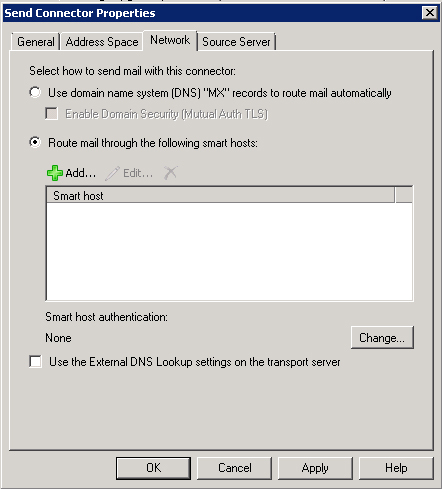 On the Network tab Select “Route mail through the following smart hosts” > Click Add. 3. 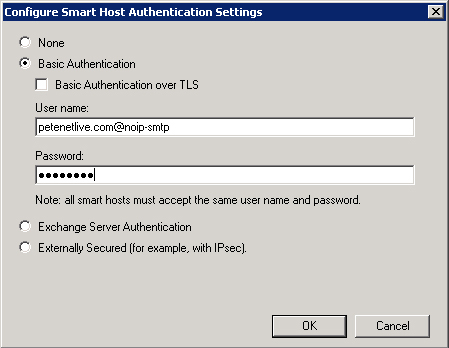 Enter the name of the no-ip smart host “SMTP-AUTH.NO-IP.COM” > Click OK.
4. 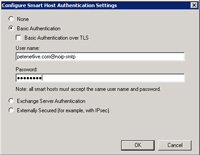 Click “Change” to set up smart host authentication. 5. Select Basic Authentication > Enter the username and password that no-ip provided you with (You need to set up the password, its NOT the same as your usuall no-ip password) > Click OK.
6. 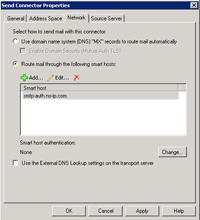 Now you need to change the port your Exchange Server sends on, the only way to do this (at time of writing) is in Powershell. Take note of what you called the Send connector (mine’s called “Send Connecor”). 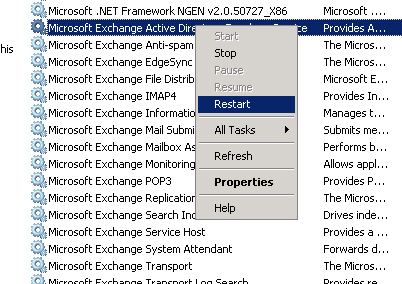 On the Exchange Server, Click Start > All Programs > Microsoft Exchange Server 2007 > Exchange Management Shell. > the command Syntax is…..
Where “send connector” is the name of the send connector and 3325 is the port you connect to no-ip with. 8. Select yes to restart the other services as well. 9. Go and have a coffee then test mail flow in and out.